ALL Zanu-PF’s 10 administrative provinces have unanimously passed votes of no confidence in national political commissar Cde Saviour Kasukuwere, who faces a litany of accusations, including plotting to topple President Mugabe by setting up parallel party structures. Manicaland and Matabeleland South provinces endorsed the decision yesterday, while Matabeleland North is set to ratify the decision tomorrow. The provinces join Mashonaland Central, Harare, Bulawayo, Midlands, Masvingo, Mashonaland West and Mashonaland East which have since recommended Cde Kasukuwere’s ouster. Matabeleland North provincial chairman Cde Richard Moyo said: “We are meeting on Sunday to hear the decision of the Provincial Executive Committee (PEC) as the Provincial Coordinating Committee (PCC). Cde Kasukuwere was accused by his province, Mashonaland Central, of undermining President Mugabe, causing factionalism and corruption, among things. The PECs spearhead the votes of no confidence countrywide that were in turn endorsed by the PCCs. 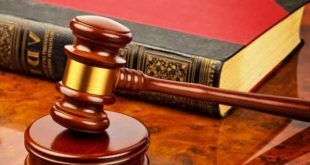 In Manicaland, the PCC meeting held yesterday claimed the scalp of the provincial chairman, Dr Samuel Undenge, who also suffered a vote of no confidence for failing to manage the affairs of the province, including alleged failure to rein in his wife, Cde Letina Undenge, who is the Women’s League provincial chairperson. The party first held a tension-filled PEC meeting at the Manicaland Provincial Administrator’s boardroom, where the house unanimously agreed that Cde Kasukuwere be relieved of his duties. 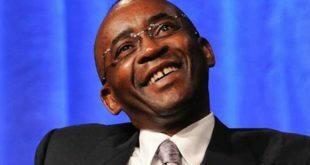 The PCC then met and Cde Undenge was tasked to read the resolutions, unaware that a vote of no confidence on him would be pronounced thereafter. Said Cde Undenge while reading the resolutions: “At its meeting on April 21, 2017, the Manicaland PCC passed a resolution that the political commissar, Cde Saviour Kasukuwere, must be relieved of his post because he was undermining the President, Cde Robert Mugabe. In Matabeleland South, the PEC met and came up with the resolution calling for Cde Kasukuwere’s expulsion, before the PCC endorsed the decision. The PEC cited nine reasons why they wanted Cde Kasukuwere fired. “Matabeleland South provincial executive committee has unanimously agreed on the matter of the national commissar Cde Kasukuwere to be ousted from the party and Government,” read the resolutions. The Matabeleland South PEC said Cde Kasukuwere also created disarray among party affiliate organisations and failed to issue party membership cards with the intention of sabotaging the party. “He advocated the removal of the one centre of power when he incited his brother to publicly declare that they want to do away with party position of one centre of power,” read the resolutions. Speaking after the passing of the resolution by the Matabeleland South PEC, Politburo member Cde Kembo Mohadi said the PCC should defend its resolution. The Mashonaland East Provincial Coordinating Committee yesterday endorsed the decision by its provincial executive to fire Cde Kasukuwere. The members said the decision was in solidarity with the resolution passed by Cde Kasukuwere’s home province of Mashonaland Central. 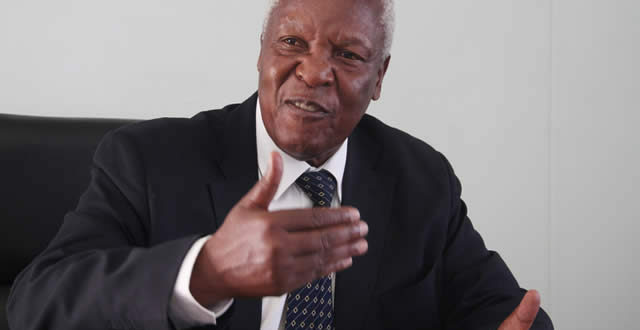 Zanu-PF Politburo member Cde Sydney Sekeramayi said they were in support of the decision by the PEC. Cde Sekeramayi said the party should focus on building its structures at cell level since the next election would be polling station based. He said the party structures should be built now in preparation for President Mugabe’s visit to the province on May 20. The visit would mark the first leg of President Mugabe’s visits to all the country’s 10 provinces. Zanu-PF Mashonaland East provincial spokesperson Cde Kenneth Mutiwekuziva said there was no reason for them to continue supporting Cde Kasukuwere when his home province had rejected him. The PCC meeting was attended by 15 legislators from the province, more than 10 Central Committee members and two Politburo members.